HCL Selection Process for Fresher 2018 – Here, we provide the details of HCL Selection Process for Freshers to new brains and assist them out in all possible ways. Our experienced staff and team will educate the students and show them the correct path of success with the accurate and detailed information of exams and its rules. All the candidates aiming for good IT job after college should note that HCL Placement is considered as best opportunity across the world in IT field. 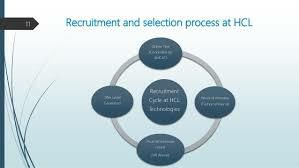 So look the selection process of HCL and grab the opportunity whenever you get a chance. HCL Technologies is an IT service provider which works under the domain of software development. Its headquarters are in Noida, India and was founded in 1976. The aspiring candidate must have scored 65% in class 10th,12th and graduation. The education gap should not be of more than 1 year. In total, the candidate has to clear the written exam in 60 minutes. One positive point of this exam is that there is no negative marking. this section includes questions based on Reading Comprehension, Grammar, Sentence Correction, Synonyms, Antonym,Spellings, Idioms etc. This section checks the skills of analytical and reasoning capacity of the candidates. The questions includes Visual Reasoning, Statement & Conclusions, Relationships, Data sufficiency, Coding-decoding, Series, Odd one out, puzzles etc. This section consists the questions based on topics such as Algebra, time & work, time, speed & distance, arithmetic, percentages, profit and loss, geometry, etc. This section checks the speed of the candidate in solving the questions. Here, the candidates have to solve the questions from programming and algorithm development concepts. This section covers the topics of structure & constructs of Computer Programming concepts. This section requires the conceptual knowledge of the candidate and fundamentals of excel. submission of resume with complete list of credentials by providing detailed information about your experience for the position applied. A recruiter panel selects the deserving applicant if his credentials match the requirements as per the requirements of the company. 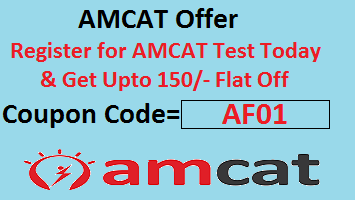 It is a golden opportunity for the selected candidate to show his technical skills. In this section the candidates interact with each other which is known as group discussion. Finally, you have reached to the last step of Interview process. It includes the compensation structure and other rules related to employment at HCL. HCL Technology is a leading global technology and IT services organization which conducts on-campus and off-campus for fresher who have passed out B.Tech and MCA. When the candidate works in 24*7 environment and works on any assigned project. This is the procedure of HCL Selection Process 2018 and for more details you can check on our website. We are available for 24 hours to help you.